What does it mean to be pretty? Bella thought she knew the answer to this question, but now that she doesn’t have the same smile she isn’t quite so sure. What I liked the most about Bella is how she’s described early on in her adventures. Yes, her physical features are mentioned, but so is her kindness. It’s easy to overlook such a small detail, especially while reading something so entertaining. This reader appreciated it, though, and knowing that the main character is a good role model made me want to share Bella’s adventures with my niece! The age recommendation for this story was a little tricky. Most kids don’t begin to lose their teeth until early elementary school, but the illustrations do seem to be geared toward readers a few years younger than that. I suspect that the subject matter will be more appealing to older children, although there is nothing here that is inappropriate for preschoolers or sensitive readers. With that being said, the illustrations are beautiful. They complement the storyline quite well. I was especially amused by the picture of Bella after she lost her tooth. It was very cute. There were actually a few times when I stopped reading to get a better look at the other faeries as well. Every one of them was beautiful, and I loved the fact that so many different ethnic groups were represented in this tale. 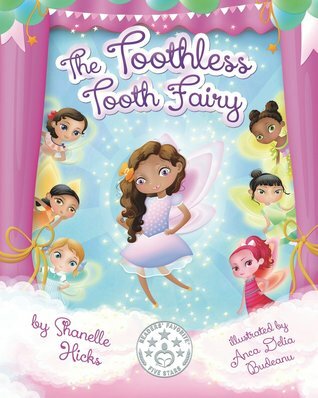 I’d recommend The Toothless Tooth Fairy to anyone in the market for something new and fun to read at bedtime.